Injuries are a fact of life in sports, but in college they carry extra weight. Serious injuries cause athletes to lose some of the precious time they have competing in college athletics. Time marches on, whether it’s the four seasons an athlete can play, the five-year clock in Division I, or the 10-semester/15-quarter rule in Divisions II and III. The NCAA has a process for giving athletes back seasons they lose to injury. 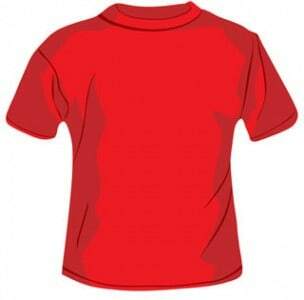 It is commonly called a medical red-shirt, but the technical term is a medical hardship waiver. A student-athlete’s school must apply for the waiver, and it can be granted or denied. Every waiver that meets the published criteria is granted, with rare exceptions. The medical documentation needs to show that an athlete was unable to return to competition for the rest of the season. If an athlete is missing appointments, not following the rehab program, or not getting evaluated as scheduled, it is harder for the school to prove the injury was season-ending. This goes both ways. If you think you might be seriously hurt, it is better to know your options than to try and keep playing and potentially lose a season you could have gotten back. On the flip side, be careful about trying to nurse a minor injury to get a season back, since it might backfire. It is important to make sure the training room knows all about your injury and treatment, but it goes doubly so if you plan to apply for a medical hardship waiver. Be sure to inform the training room about any second opinions, additional treatments, or other medications you might be taking. And bring a copy of all records so everything is in one place for the waiver. You can also get a season back based on an illness or injury that is unrelated to sports. If you become seriously ill or injure yourself outside of practice and games, follow these same tips just as if it had happened on the field. If you do need to complete a task to help prepare your medical hardship waiver, make it a priority. Some conferences have time limits on when waivers can be submitted, plus delays will add to your stress. This is especially important for athletes nearing the end of their eligibility. Finally, remember that getting the waiver is not the only consideration. The most important thing for an athlete is to get healthy and back out on the field again. Just because you might not qualify for a waiver is not an excuse to go back out there when you should not and risk losing the next season or your career.For that season, it is important that if an athlete redshirts or sits out after a transfer and it is at all possible that year might be used toward a sixth year, the athlete should document what happens during that year thoroughly. Make sure paperwork from injuries is in order, and keep up with rehab and doctors’ appointments. Any other hardship, like family financial difficulties, should be documented. Do you have any questions about a medical redshirt? Leave them in the comments section below, or connect with us on Facebook, Twitter, or Google+!